We partnered with Venue Magazine to help give a deserving Mother the day of celebration she deserves! 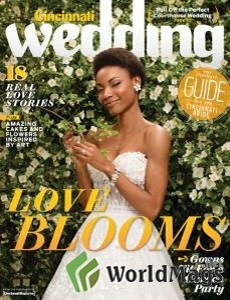 Our work was featured in two of the inside features of the Spring/Summer 2016 edition of Cincinnati Wedding Magazine. BUILDING A FAMILY, SALON STYLE. Our Education Director, Linda Edwards, and Elite Artist, Michelle Miller, were featured in the 2016 Volume 2 edition of Venue Magazine. Edwards has been with the company for 16 years, Miller for 14. Our work was featured on the cover & inside Playful Nostalgia feature in Venue Magazine’s 2016, Volume 2 edition.